1.Click "Add a new Special"
5.Enter a short description. This is appended to the rate plan name. 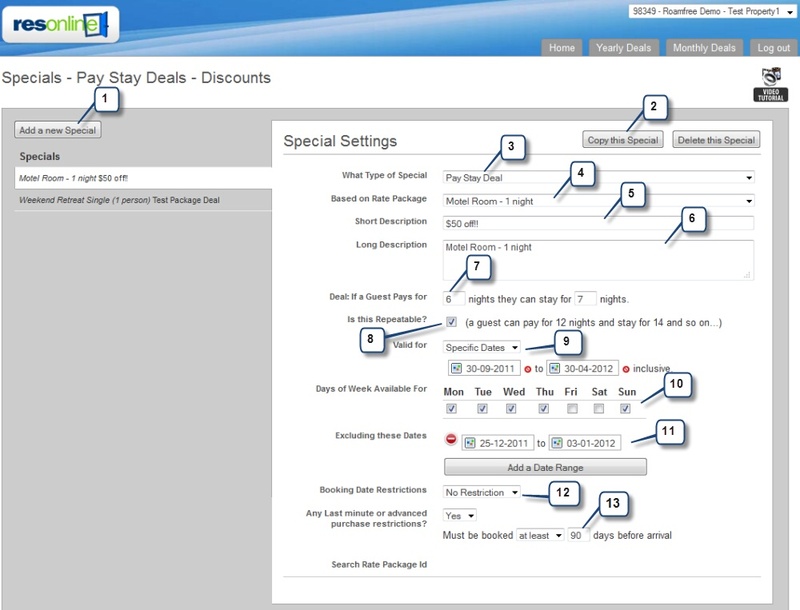 12.You can also add booking restrictions. An example would be to create a special valid for stay dates in the future, but it must be booked this month.